The reality in the IT working world is that most IT projects fall flat on their faces. A startling statistic of 80% (and possibly higher) reveals the majority of IT projects, despite being well-formed and planned, still end up not meeting outlined project goals throughout their planned course, both in terms of keeping with time and budgeting available money. IT Projects themselves constitute particular IT endeavors that are carried out to create a fresh technological product and/or service with intent to spur, and hopefully, continue a sense of beneficial IT change. But, Just Who Is Pushin g For Change and Managing IT Projects? Simply, the wrong people. Sometimes, having such change-worthy aspirations to drive these types of projects forward are undertaken by those who least know how to manage and properly conduct IT projects. And with these types of lacking-individuals what's clear for them is their target; it's just that their aim is far from accurate. But, now - and needed more than ever for purposes of actually accomplishing IT projects and their attached goals - there are specific people out there who can stop IT projects from stumbling and falling on their faces. These individuals are called IT Project Managers. Currently, their need in the industry is dire. With the constant increase of IT projects popping up throughout IT companies and organizations worldwide, the call for IT Project Managers is being bellowed from far and wide. The need for IT Project Managers who have accredited certification are even more popularly sought after. For with certification in IT project management IT professionals and prospective employers will know you have what it takes to make projects structured, operational and successful. 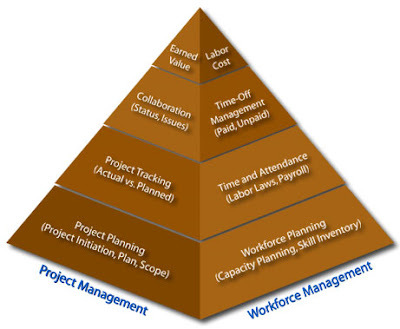 Having certification in IT project management tells others you can use the best possible practices, proven techniques and tested methodologies to perfectly complete a provided project, both in a timely manner and within budget parameters. If you feel you'd do well at being an IT Project Manager then know that you have certification options to choose from, two in total. There is the Project+ certification and the PMP certification. The Project+ certification is affiliated with Comp TIA. And with this certification you will gain all fundamental project management skills being able to take a project from conception to adulthood. You will be able to take projects through planning phases, execution actions, support efforts and end result finalization. The Project Management Professional certification is derived from the highly respected PMI, Project Management Institute. This certification is the most reputable in the world. 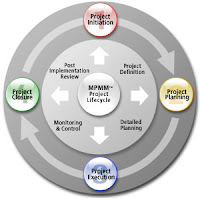 The application process for gaining acceptance to achieve PMP certification is quite involved. It requires having a university degree, 4,500 built up hours of professional project management experience and an additional 35 hours project management education.